space. Here all his colorful spirit journeys begin. believes in irony, is that Anders is always aware of the viewer. 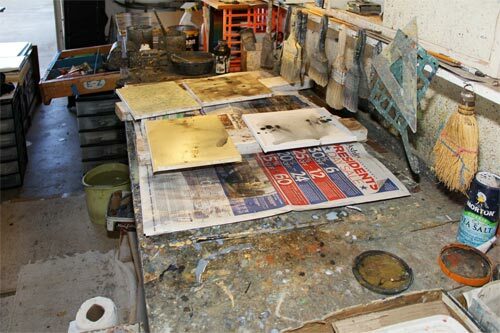 are few and far between Anders has never been alone in his studio. 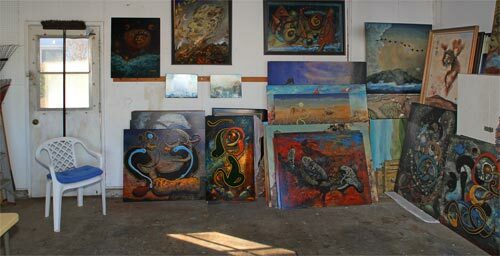 Paintings on masonite, canvas and paper rest here in peace. speak of other places, people, events, desires and accomplishments. These are paintings currently in progress. gesture at a time, one decision after another. 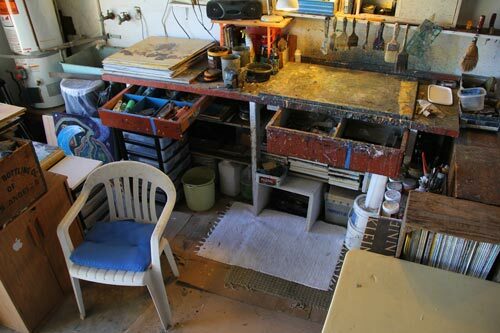 Here is where most of the painting takes place. playing on the radio as it was three decades ago. And it is all the same. and desires are the same: that his last effort be his best effort. 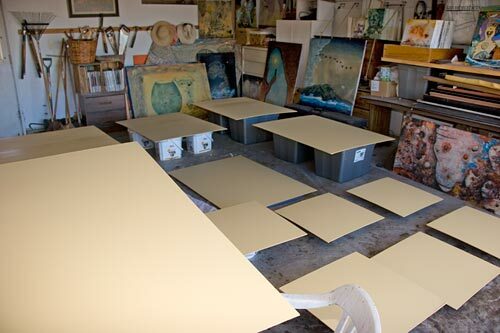 surface is primed, especially smooth masonite. Each of these are a new beginning, a new dream, a new reality. applied in multiple cross-coats to create desired working surfaces. Here are examples of the first sessions, pre-signature, after priming day. animated short that offers the twists and turns each piece goes through. settled on an orientation: vertical, horizontal, top and bottom. Protective layers seal fragile color and offer opportunities. off the in-progress pile and stacked with other “completed pieces”. path illustrating intentions, process and resulting images. But this is another chapter to be shared later this year. It is a day where one stage leads to another stage. that Anders became Anders faster than if he had gone to art school. Since the early 1970s Anders has read. enjoyed and studied art books. art books checked out from public libraries. Time is collected and piled together in stacks. as well as current events and geologic history. Each finish coat adds another layer of depth and transparency. challenge Anders, but there are no paintings that he hasn’t given up on. He works until there is a moment when a spirit has emerged. 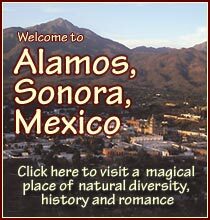 Here is a place where freedom is both a place and way. does. Refining. Reflecting. Rationalizing. Realizing. Anders is a direct descendant of cave painters and drummers. Here realities take shape in the pull of questions and answers. sponge? This is life in the art studio. It is a good life. ©2016 Anders Tomlinson, all rights reserved. We are what we are and Anders is who Anders is, a direct descendent of the cave painter and drummer. As he creates objects and formats he is one with all times, people and places. Featured Painting …All the Elements are Present … completed 8-4-13. We were anticipating psychic powers to rule, 16 x 20 inches, acrylics-canvas. 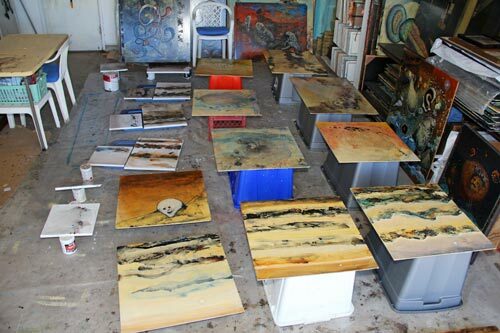 2011… In the paint studio, works in progressed and finished during 2011. 2010… Anders paintings finished during 2010. A year in progress and detailed review. 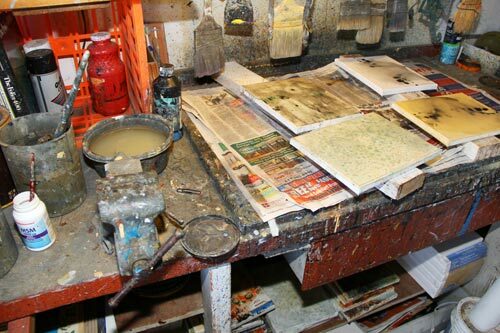 Anders Paints… Insight into the Anders paint process and creative journey. 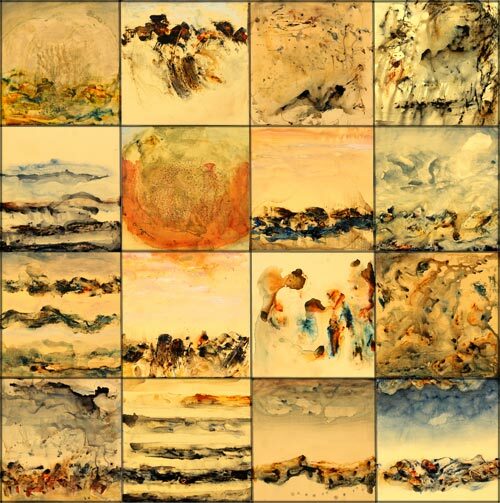 Galleries… Selected collections of Anders work by groups and series. Lava Dogs & Dancers… Stars, along with their habitat, of the Elemental film. About… Information on Anders and coming Art Talk Talks Art films. Mesmerize!… Video clips from a film of Marc Gould working and thinking. and opening night at their first public exhibition. KBCH… Video clips from three KBCH RadioTV episodes, fun with human nature. Caretaker… Video clips of Anders contemplating migrating populations and…. Dirt… Video clips of PigMan and friends wallowing in “big deal” reality. Animate… Video clips of Anders evolving animations, one step closer to his dream. Ascension is one of 22 paintings in the Deep series, 31 x 30 inches, 2003 - 09, acrylics. Anders has painted in relative seclusion for 40 years and few have seen his work in person. 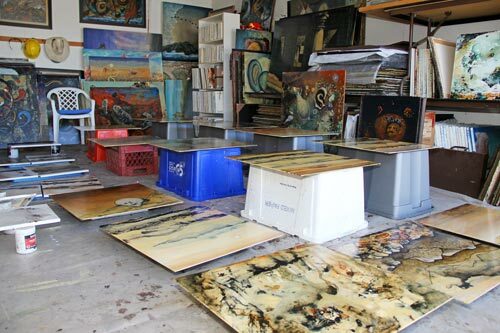 Artfeats celebrates his accumulated body of work, over 3,000 paintings. Also showcased here are Art Talk Talks Art films featuring Anders and other artists’ creative process. Creativity is a special place that all can enter, but few do. Process is the major commitment of Anders’ life. There is always something to contemplate, envision, do and finish. He practices style and substance in disciplined solitude. He travels a road that comes from within, driven by a need he need not understand or justify. The paintings must speak for themselves. The question is, will they have opportunities to be heard? Anders is a cosmic tour guide creating marks for others to decipher. The many varied poetic readings of his paintings fascinate Anders. He is always in agreement with the observer’s conceptual ownership. He leaves images, and viewers give back dreams that tickle his funny bone. Why would he argue? Anders enjoys the moment working on Scout, 40 x 30 inches. At times viewers feel a need to approach his paintings and reach out as if their fingers will sense where “there” is. 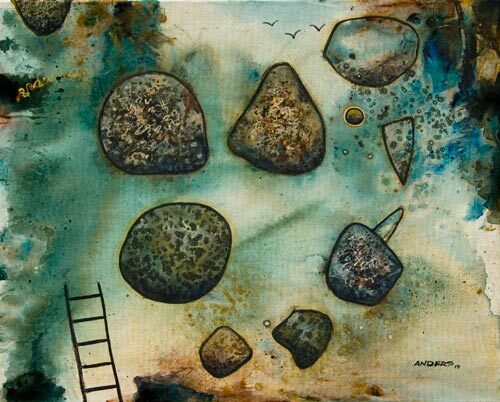 Artists appreciate Anders’ unique techniques and on several occasions have asked if they are seeing what they think they are seeing. He assumes they are, and nods yes. He accepts the world. It is what it is. Anders embraces the unknown. Not all questions need to be answered. In this spirit Anders paintings grow. Subject, composition, color and mood evolve through subconscious conversations embellished with experience gained over passing time. By analyzing photos of works in progress, the process is further enhanced, and Anders discovers the next course of action. This modus operandi allows each painting to become an animated film of its own creation. Anders is a direct descendent of the cave painter and drummer, a traveler on the third stone from the sun and a simple soul in a complex world, But aren’t we ali? Back when Tomorrow wasn’t even a concept. Every moment is multiple opportunities flashing by in all directions and all dimensions. An observant mind is lucky to recognize one a day while some souls fail to embrace a single moment of modern times in their entire existence. No one said life was fair. We can not run, short of suicide or disabling addiction, from enveloping events. There is no where to go but inward. And inward is a trek higher than the highest mountain and deeper than the deepest sea. One can only imagine life at the water’s edge in Lavaland. Lavaland changed with the seasons and each passing era. In the biggest picture, not only species come and go, but so do lands . Continents rise and fall. Lakes appear and disappear. Lavaland was, and is, such a place. Here, Lava Dogs hunted and gathered. Here, Lava Dogs were their music and their own legends Here, Lava Dogs bred, raised little Lava Dogs, aged and died. Blood, Scout and Yellow Chin were the first Dogs to lose their fears of shadows. Lava Dogs moved with the ease of restless tectonic plates. They came with summer snow melts and left driven by low winter sun angles. Habitat in this brittle biosphere was where they camped. Carcasses were coins of the realm. Bones were bog cleaned and traded as jewelry along with strings of decorated dung. Pre-historic Lava Dogs were light blind. They had elaborate fake eyes that would eventually evolve into functioning image capture cells. Their double faces, mood-shifting anatomical features, with multiple eyes and mouths, real and fake, protected them from unfocused intruders. Destiny, Philosphy and Individualism were Dancers that made a difference. As eras and histories passed by, Lava Dogs splintered into ten semi-distinct nomadic clans whose territories were separated by natural, and philosophic, barriers. Every decade, roughly two breeding cycles, Lava Dogs came together at the foot of Hotel Promontory. These conventions came to an end when efficient predators from the east began settling on the ridges overlooking Lavaland. The days of Lava Dog dominance were waning. Storm clouds, like crazy seas, came and went with the winds. Recently, hundreds of Lava Dog mummies, dating back 18,000 breeding cycles, were found in the Northern Wetlands. Scientists have theorized Lava Dogs began a survival migration to the north as Lavaland turned poisonous for all air breathing creatures. All available food became contaminated. Windstorms conquered adaptation. The Lava Dogs northward journey took 1,000 breeding cycles. They traveled during a relatively long period of favorable weather. Soon after Lava Dogs reached the wetlands the weather turned deadly cold. There was no place for the Lava Dogs to go. And that was it for Lava Dogs. Fire was an element in Lavaland that all creatures respected or perished. These are excerpts from an awkward interview with Anders. He reluctantly revealed background on the Lava Dogs and Dancers. He left questioning the validity of media. Did the Dogs eat a lot? They consumed what was available. They spent very little time preparing meals. They ate what nature provided, as nature presented it, or as they were fond of grunting, “as nature intended“. This was the last of the Lava Dogs and Dancers. Evolution has a nasty temper when provoked. They had an excellant overview of meals from up high on their food chain perch. As late as 12,000 breeding cycles ago, there were no safe ways when it came to food handling. Food was not a pleasure, it was necessity. Worms, mammals, birds, and fish were all eaten with the same purpose- survival. At times, contaminated food killed the eater. There were no convenient coffee shops in the days of way back when. Did Dancers receive social callers? Lava Dancers to you! All the worlds, and all the dimensions, came calling on the Lava Dancers. any, and all, specie made it’s peace, if possible, with the Lava Dogs and Dancers. The Dogs negotiated physical safety before they would allow any interaction. The Dancers offered visitors, no matter their species, spiritual healing and vitality. And then things evolved like things are prone to do and the landscape changed as did the Lava Dancers. Yellow Chin was willing to run and lose territory if it would avoid bloodshed. 12,000 breedings cycles from now, your question will provide insight on who, and what you really were. It will not be flattering. Evolution is not meant to be discussed by mortals, especially media types like yourself. What kind of music did the dancers dance to? Dancers didn’t dance, they be and be. They were survival spirits that made dance dance. Juggler, who had a loving heart, proves looks don't always tell the truth. Did Dancers and Dogs get along? This is a pedestrian question, that requires looking at their relationship with a needed distance. From there, in the silent winds, you can not tell a Dog from a Dancer. And do not tell me that isn’t an answer. It’s the universal answer for all unfounded questions. What is the age of the oldest Dancer? Lava Dancers never died they just influenced destiny until destiny took a road unchosen. What is the age of the youngest Dancer? Lava Dancers are not creatures. They take on shifting forms in an artistic imagination-dream. The rub is… what do forces that drive moods look like? Mull that over a couple of times. It would be easier to answer how young are jet streams-dreams? That would be easy because we don’t know. Salvador Dali, three breeding cycles ago, said ” the one thing that is impossible to avoid is being a modern man.” Do you feel his melting message? Homo Dog never reached other Dogs' projections of his potentials. How did you find the first Dancer? While visiting an used book store in Chiloquin, Oregon. It came to me in a rich-hard trance spanning two rivers and one one-hundredth of a breeding cycle. And from that point on, my life and the Lava Dogs and Dancers became intertwined, one and the same like money, greed and power. Ah, finally you ask about Dogs. Lava Dogs were an element of instability. It is their bones washing up in the tides. They were born. They reproduced. They aged. They died. They were clans before there were nations. Lava Dogs were representational nature. Lava Dancers were manifested spirit. How do you see the role of both The Dogs and The Dancers? You must be joking. The joke is on you. You are the joke. Get over the meaning of things. Get into the “it” of it. Sister Blue Nose's nosey nature navigated from controversy. candy and cartoons. Did they hope to be internet stars? Hope, now there’s a concept that has had it’s day. What is an internet star? Where do all the internet stars go? I toy with you because you let me. You are the puppet and I’m the string. And yet you persist. Why don’t you ask yourself “why ask why?” When you have an answer, call me, and we will carry on like it is tomorrow. To see beyond feeling and feel beyond seeing. My goal is to paint images that haven’t been seen before. To accomplish this, my subconscious must be a partner in art. I paint everyday- it is not a big deal- It is part of my routine. What is important is that I waste no color and I finish every piece I start- if this takes 30 years so be it. Passing time allows the subconscious room to move without stepping on my ego. Process and continuity become more important than the image. 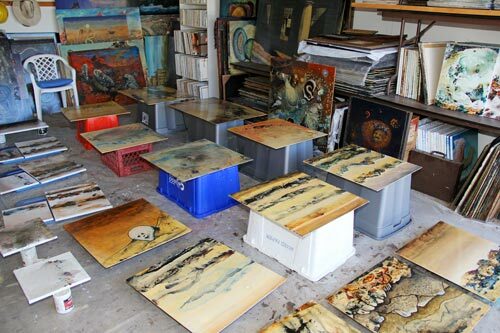 Having many boards underway at the same time also reduces ego- the process of distributing color becomes more important than the marks. 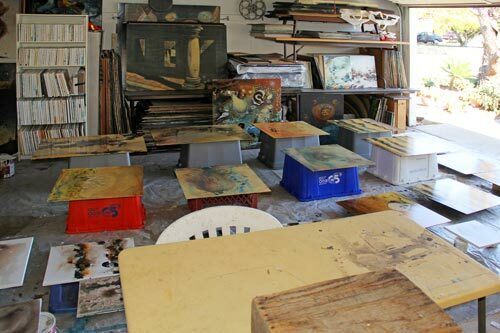 It is also common for me to spend thirty seconds on a board’s painting session and put it away for thirty days or five years- this reduces the opportunity for the conscious to take over. Simple tools can be packed in a bag and ready to travel-paint anywhere. Patterns, orbits, consequences, cellular development, migrations and linkage. 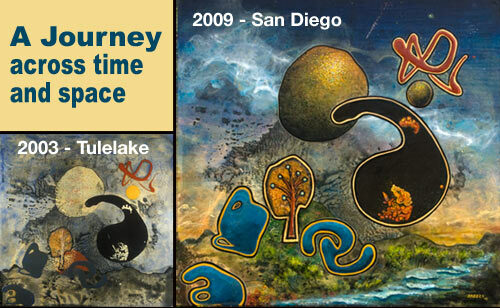 I paint transition, movement, mitigation, evolution, infinity, relationships and elements. common to my work is an appreciation for the gaseous goo all around. timeless goo. recirculating goo. I do not paint a leaf in the wind- I paint the particles moving in the wind that moves the leaf. I paint small things- cells. and large things-cosmos. In my work natural phenomena, genealogy, vibrations and subconscious streaming are one. An elderly asian woman came up to me one day as I was painting and she said, “I know what you are doing. you are painting under the water and the heavens above.” I smiled and answered ” and a little of Asia.” she quickly responded “Bali” and walked away like only an elderly woman can. This page took 0.320 seconds of computer labor to produce.